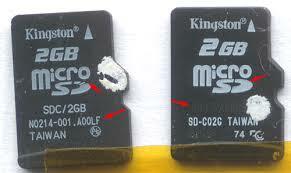 I know a lot of us have had various experiences from buying fake memory cards. You buy an 8Gb SD card just to discover it can accept only 250mb worth of data despite showing clearly you still have more than 7Gb space left. It can be very annoying and sometimes hilarious, but not to worry its time you prevent such awkward situations. 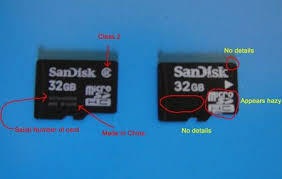 Today, i will be showing you two ways to identify fake SD cards. 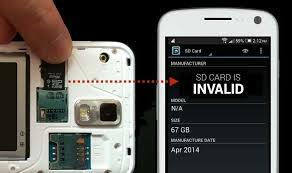 SD card insight is a mobile application that helps you get "insights" on the SD card. 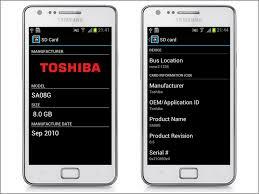 It displays the Manufacturer's details, original size etc of your SD card in an instant. It is a free, fast and easy to use application. All you have to do is insert your SD card in your phone and in an instant, it displays vital information about your device like Name of manufacturer, date of manufacture, product name, serial number etc. The application can also view the validation of the SD card against its class rating (Class 2,4,6 and 10) for the minimum data transfer rate. You can download SD card insight from Google Play store or Alternative Mirror Link. H2testw is a free PC tool which can be used not only to detect fake SD cards but also fake USB drives. 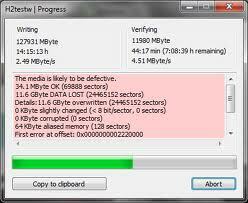 You can even check your USB flash drive for errors by filling it with test data while it verifies it. It is a must have tool if you own a PC. You can download H2testw from here. 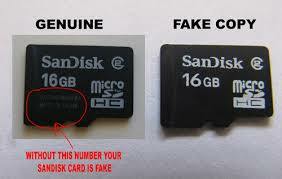 With these two tools, you should definitely not fall victim to fake SD card peddlers. You are now smarter. The following images below show you how to identify fake SD cards at a glance (though this may not be 100% effective), so you don't even have to look twice at that fake SD card. Kindly share this post with your friends, let them be aware too!You can also buy SD cards from trusted sellers like Jumia (from N365)and Konga (from N600)too. I bought a phoney Kingston 64 GB microSD card on eBay recently. It looked unbelievably genuine, at first, but after further investigation it turned out to be a counterfeit. There are probably hundreds if not thousands of these things on eBay at any one given time.